Though your bathroom may have seemed large and spacious when you moved in, it’s likely that it feels like it’s grown smaller as time has gone on. Where you once had space to organize towels, magazines, candles, and other knick-knacks you may now be struggling to keep the space clean and clutter free. If that’s the case, it’s likely that you’ve turned to Pinterest for bathroom organization ideas. A great option for those looking to add long-term décor to their bathroom space is a new piece of furniture in the form of a linen cabinet. Our linen cabinets range in width from 14’’ to 18’’; allowing them to fit almost anywhere. Perfect outside your glass shower, or next to your bathroom counter, everything you need is only an arm’s reach away. Our bathroom storage cabinets are a great option to keeping your space organized. If you’re wanting to keep everything at your fingertips, but don’t want it sitting on your countertops, consider wicker baskets! An affordable and trendy way to store your items, these baskets allow you to neatly declutter your space! Check one of your local home décor shops, or maybe you’ll luck out and find some second-hand at a local thrift shop. 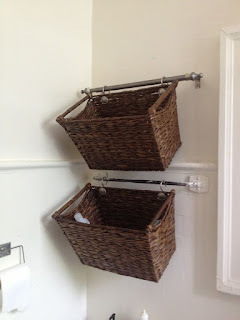 These baskets can be stored almost anywhere- bathroom shelves, the floor, or even on top of the toilet. Fill the baskets with toilet paper, towels, magazines, or even hair tools. The options are endless as to how you can use them to maximize your small bathroom’s space. Though technically a linen cabinet, our Elton 14 linen cabinet attaches to the wall. This contemporary cabinet floats off of the floor; allowing you to store additional items- like a scale- below it. With 4 shelves, you’ll be able to store an abundance of your toiletries effortlessly. So much space to offer- that it’s a great option for a small bathroom storage cabinet! 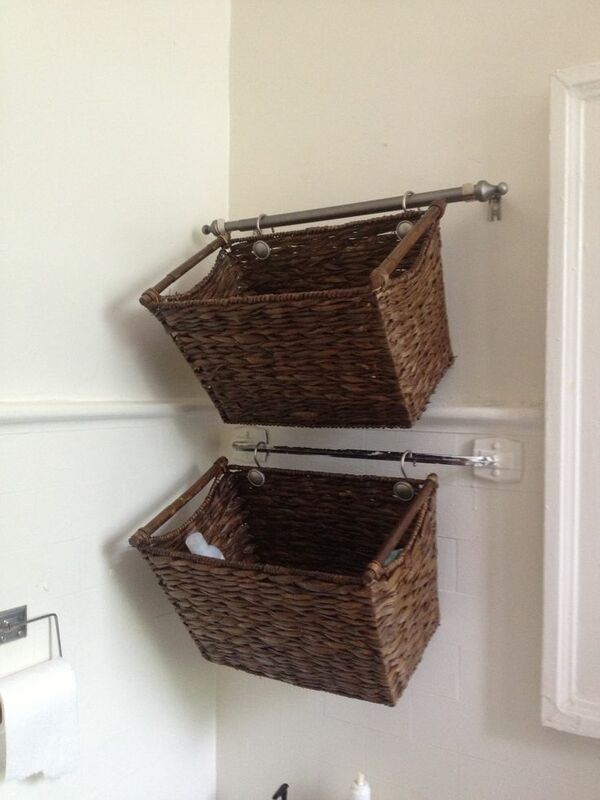 What are your favorite bathroom storage ideas that you’ve picked up over the years?